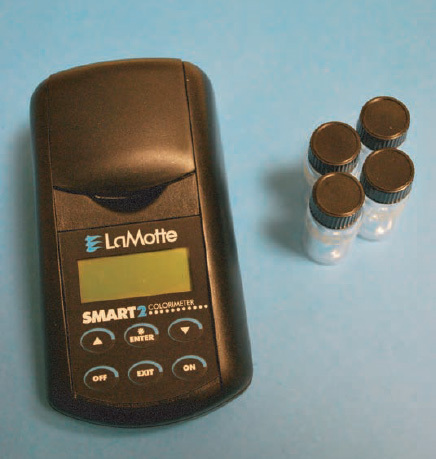 The user-friendly SMART2 Colorimeter is the direct reading colorimeter for complete on-site water analyses. 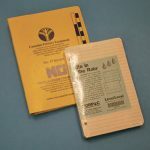 All of the 85 pre-programmed chemical tests can be run on this compact instrument. The entire multi-LED optical system is embedded in the light chamber and optimized for LaMotte test reagent systems. This enables the analyst to simply select the desired chemical to test and put in the sample with reagent. 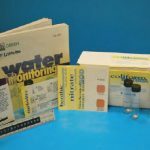 Common chemicals to test include Phosphate, Nitrate, copper, aluminum and chlorine. *Please note: not all reagents are kept in stock at all times. If there is a specific test that you would like to perform, please submit your equipment request in advance so that reagents may be ordered.